Jason Dy sings ‘Kahit Kailan’ on February 15, 2015 in hopes to be one of The Voice of the Philippines Season 2 Top8 on Semi-Finals. Team Sarah’s Monique Lualhati, Jason Dy, and Kokoi Baldo did not back down, pouring their hearts in their chosen songs and inspiring their listeners. Jason Dy shares that he has no one to share his feelings with since his parents had been annulled. Last week he was overwhelmed with emotion as he felt alone. His mother arrived home for him and Sarah shared her happiness for him. 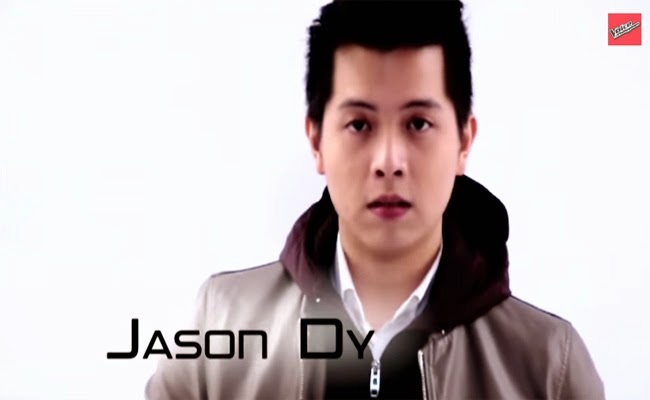 Singing ‘Kahit Kailan’, Jason Dy had been inspired by the love that never fades. Bamboo shared that his performance had been very simple. His falsetto made his performance the best by far. Sarah said that her heart consistently melts every time he performs. She had been proud as Jason Dy never failed to work hard with his performances. Kokoi Baldo got the highest voting percentage last week for Team Sarah followed by Monique Lualhati. Jason Dy was saved by Sarah Geronimo. The voting lines had been opened after the three artist from Team Sarah had performed. The public was given only 5 minutes to vote during the commercial. The one with the highest voting percentage will be automatically saved while one will be saved by their coach. Only two will go on as part of The Voice of the Philippines Top 8 for Semi-Finals. Who will stay and who will go home?